PHILADELPHIA - Nov. 12, 2018 - PRLog -- This Sunday, November 18, 2018, thousands of runners taking part in the Philadelphia Marathon will receive 'help from on high' when passing Mother Bethel AME Church, located at South 6th & Lombard Streets. Mother Bethel AME Church will be open, early, for the race and church members will be on hand for a special Philadelphia Marathon "Sidewalk Service" featuring the Mother Bethel AME Church choir which will sing up-tempo, spiritual songs to encourage runners to literally stay in the race. The choir, under the direction of Jonas Crenshaw, has rendered the music at many noteworthy events, including the opening of the Democratic National Convention in 2016. Mother Bethel members will cheer-on the runners while passing out refreshments and inspirational wristbands imprinted with the messages "God is my pace partner" and "Run and not grow weary," a scripture from the book of Isaiah, chapter 40 in the Holy Bible. 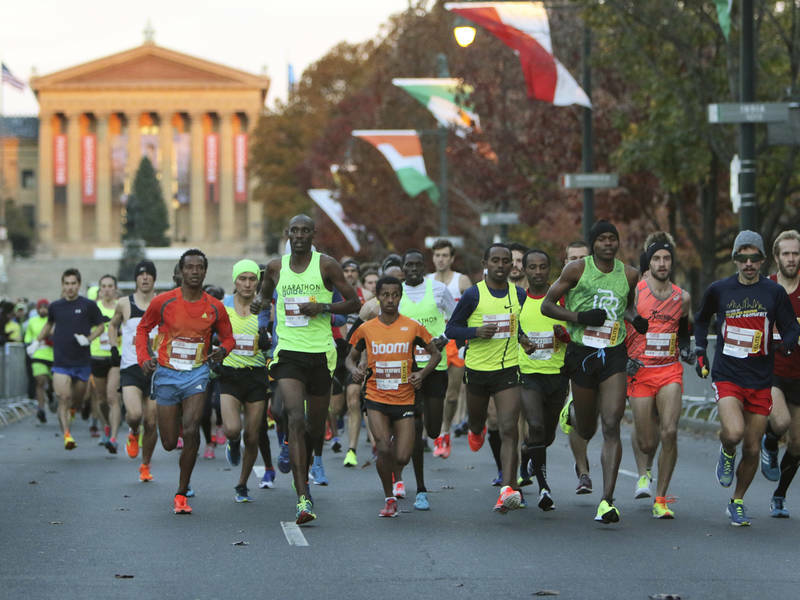 Each year, runners taking part in the Philadelphia Marathon pass by Mother Bethel AME Church, the nation's oldest parcel of land continuously owned by African Americans. For at least the last ten years, the church has been forced to reschedule worship services during the race. This year, Rev. Mark Kelly Tyler, PhD., Mother Bethel's Senior Pastor, decided to try something new, adopting an "if you can't beat 'em, join 'em" approach. "Honestly, the Lord told me to stop fighting the city to move the race route and, instead, embrace the fact that we will have tens of thousands of people running right outside of our church doors," said Rev. Dr, Mark Kelly Tyler. "Some of the runners have no idea we are even here, so this is a great opportunity for us to minister to them, meet their needs physically and spiritually, as they run by even if only for a few moments." Dr. Tyler invited neighbors living in Society Hill and to join the cheer team at Mother Bethel AME Church for the special Philadelphia Marathon "Sidewalk Service." For more information on Mother Bethel AME Church's Philadelphia Marathon "Sidewalk Service" contact the church at (215) 925-0616. All media inquiries should be directed to Tyler Made Media at leslie@tylermademedia.com or call (609) 247-2632.